Effective from January 2019, CONGO CONSERVATION COMPANY, who has pioneered tourism in the Congo Basin, expands beyond ODZALA DISCOVERY CAMPS in the Republic of the Congo, to partner with SANGHA LODGE adjoining CAR's Dzanga-Sangha National Park. This partnership, together with the new access route directly from Odzala to Sangha, will turn one of the most inaccessible and untouched corners of Africa into a viable tourism destination for conscientious travellers. And to make it even easier we have updated the Congo Conservation ONLINE AVAILABILITYto show seats on the plane instead of beds available. 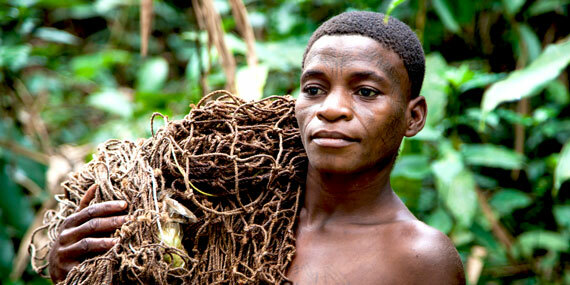 WHAT IS SPECIAL ABOUT THE CONGO BASIN? The Republic of the Congo and Central African Republic, both former French colonies, are 2 of the 6 countries across which the Congo Basin expands. Second in size to the mighty Amazon, the forests of the Congo Basin contain the greatest number of mammals, primates - including the endangered western lowland gorillas - birds, amphibians, fish and swallowtail butterflies in Africa. More than 1,000 species of bird can be found here. The basin is a total of 3.7 million km2 and is home to some of the largest undisturbed stands of tropical rainforest on the planet, in addition to large wetlands. Connecting two of the most iconic locations - Odzala-Kokoua and Dzanga-Sangha National Parks - within this rainforest wilderness offers the most exciting opportunity to discover a part of Africa in a truly pioneering way. 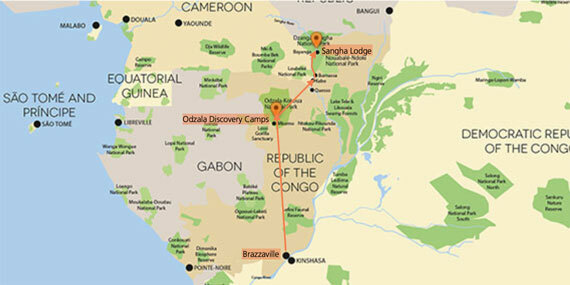 CONGO CONSERVATION COMPANY has created a safe and easy access route between Odzala and Sangha. Every traveller who joins one of these Discoveries makes a significant contribution to the long-term conservation and community sustainability of this vulnerable region. All Discoveries start and end in Brazzaville. Scheduled 2-hour charter flight between Brazzaville and Mboko (Odzala-Kokoua). Scheduled 40-minute charter flight between Mboko (Odzala-Kokoua) and Kabo (still in Rep. of Congo). Scheduled 4-6 hour motorboat journey on the Sangha River between Kabo (Rep. of Congo) and Bayanga/Sangha (CAR). 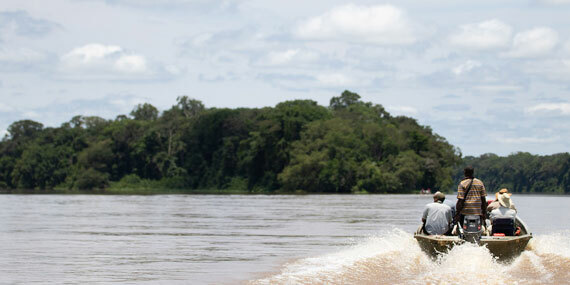 A Congo Conservation guide accompanies all transfers and border control formalities are managed along the river. A multiple-entry Republic of Congo visa is required pre-arrival in Brazzaville. 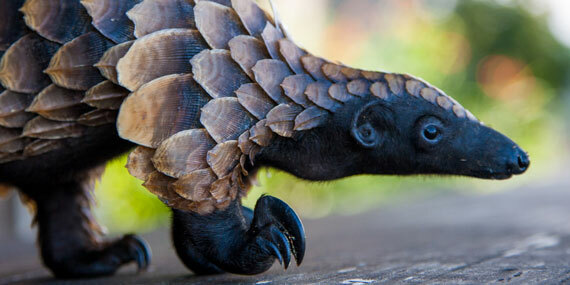 Congo Conservation provides the Letter of Invitation for this application process. The CAR visa can be obtained on arrival along the river but requires a pre-arranged Access Authorisation document which is managed by Congo Conservation. Discovery package rates include facilitation fees for all border formalities between Kabo and Bayanga. Excludes cost of visas. 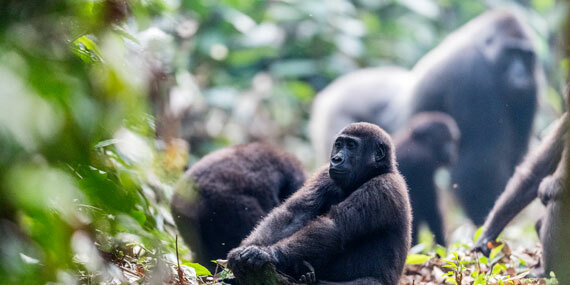 GORILLA DISCOVERY - 4 nights: an immersive western lowland gorilla tracking experience. US$ 6 610 per person sharing. ODZALA DISCOVERY - 7/10 nights: explore all 3 of the Odzala Discovery Camps, from rainforest to savannah and rivers to baïs, from gorillas to forest elephants and flocks of green pigeons. US$ 8 840 pps (7 nights) or US$ 11 770 pps (10 nights). SANGHA DISCOVERY - 10 nights: for a week of Sangha Discovery combined with a quick splash at Odzala. US$ 12 950 per person sharing. This is no longer the 'Heart of Darkness'. This is Africa unmasked, beautiful and powerful. This is the most exciting destination in which to pioneer tourism. This is CONGO CONSERVATION COMPANY waiting for you to discover the most remarkable and unspoilt natural wonders of the continent. TRAVEL WARNINGS: Please note that while The Republic of the Congo is a safe country for tourists there are travel warnings in place for certain parts of Central African Republic. While the warnings are applicable to the north and east of the country, the access route from Kabo (Rep. of Congo) to Bayanga (CAR) is in the remote Sangha Tri-national in the extreme southwest. This area is safe and far removed from all unrest. Congo Conservation takes all precautions to ensure the safety of guests and ease of all travel logistics under their management.